For the second year running, Mirvac’s Broadway Shopping Centre (“Broadway”) has ranked number one in Shopping Centre News’ (“SCN”) Big Guns Awards 2014 for annual turnover per square metre (“MAT/m2”). Moving annual turnover measures the total value of consumer spending at a shopping centre based on a rolling 12 month period. Broadway was awarded as the leader in the MAT/m2 category with $11,506/m2, an increase of 10.7 per cent in the past 12 months. Total MAT increased 11.4 per cent in the same period to $459.1 million, breaking records as the first shopping centre in Australia to reach the $11,000/m2 level. 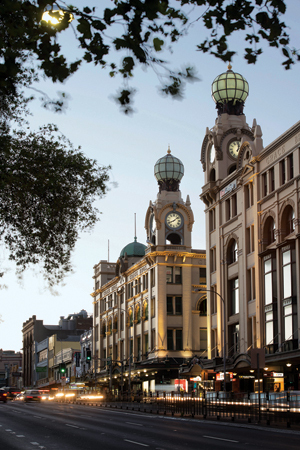 Over the past 12 months, Broadway has continued to focus on tenant remixing, adding in new retailers such as Apple, JB Hi-Fi, Nike and T2 alongside existing key anchors, which has contributed to the increase in MAT. Broadway has also continued to tailor its offering to the diverse demographics in the area with a strong focus on specialty food retail and food catering. Susan MacDonald, General Manager Retail at Mirvac said, “We are delighted that Broadway has been recognised for the second year running as the number one ‘Big Gun’ shopping centre in Australia.